Geek Couples: Shrek and Fiona | Warped Factor - Words in the Key of Geek. Tony gets his ogre on. There’s a point in every relationship that lasts where the fictions and the best-side presentations of dating become the comfortable honesty of knowing one another at our best, our worst and our everyday reality. It’s the point at which princesses comfortably fart in front of their white knights, and the point at which white knights forget to leave the room before picking their nose and examining what they find. If that sounds like the death of romance, it really shouldn’t. Romance has phases – the initial ‘getting to know you fluffy cloud of potential’ phase…annnnnd then the lasting, lifelong phase of knowing each other better than anyone else does, the comfort of being able to share anything life throws at you together. The story of Shrek and Fiona is, for the most part, the story of that acceptance, that finding of the special freedom that only comes with the person who loves and needs you more than anyone else in the world. Fiona, as a human princess, has lived a life of ‘feminine’ expectation – she’s been locked in a tower, guarded by a dragon, and set up to be rescued by a handsome prince on a noble steed. She’s been led to understand her destiny within a very limited range of experiences. When she’s ‘cursed’ with her nightly ogre-nature, she’s not supposed to like it, and she’s not supposed to think anyone else could either. When, instead of her Prince Charming, it’s an ogre that comes to rescue her, there’s the oddest sense of freedom in it – she’s free to be objectionable, free to be moody, free to be sarcastic, because he’s not her ‘expected’ saviour, so she doesn’t have to be on her best ‘dating’ behaviour. She’s freed to be herself and, when her ogre ‘curse’ is revealed, Fiona is finally able to fully embrace that side of her nature in the company of the strange, reclusive, ogre with his own special style. 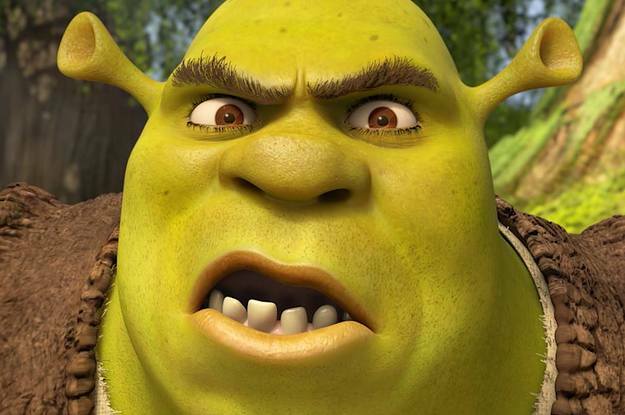 Shrek, for his part, is the typical self-revolving geek-guy. He has his place, his routines, and his comfortable, grumpy misery. He’s been wounded by the world and its judgment, and he’s put up his barriers, claiming he prefers his splendid isolation to any engagement with the world. Shrek has been schooled in his difference, and he’s embraced it, saying goodbye to the idea that anyone could be interested in him, and using that as a projectile weapon, a ‘Screw you too!’ of spikiness that means he’s off his guard, just as Fiona is, when he gets her out of the tower and they have that banter and that chemistry that depends on not being on their ‘date night’ guard. Neither of them expect to fall in love with each other, which means there’s no pressure to pretend, and they are free to follow their instincts into unfamiliar, wonderful territory. When it’s revealed that Fiona’s part ogre, and when, more to the point, she feels comfortable enough to engage with him on that basis, to see his ogreish habits and raise them, he finds himself having to confront his own assumptions as he falls in love with her. The ease, the acceptance they bring to one another in their ogreness allows them both to do a thing that neither of them ever expected – to live an ogre life, unafflicted by expectation or the judgment of the world, and to share that life with someone who loves them. Not that their Happy Ever After is anything like as simple as that sounds. 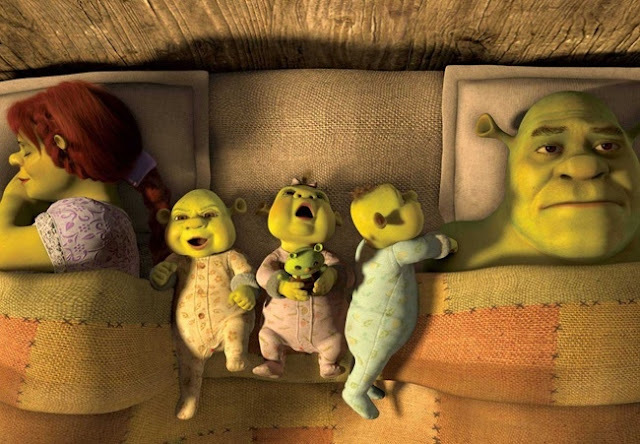 Part of the pleasure of the Shrek and Fiona dynamic is that they build a life together, comfortable in their green skins, but like many human couples, they have underlying insecurities and fears. 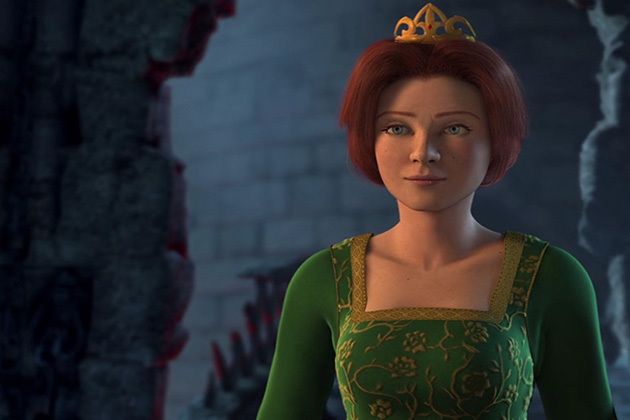 Even though, obeying her heart, Fiona becomes permanently ogre, the thought persists in Shrek’s mind that she’d be happier as a human, happier with him if he were a human, like every man everywhere at some point, he aims for the quick fix to make her happy when they have a row. They come through their early issues, their unfamiliarity with a shared life and their having been chosen by the person they love. It’s not fairy-tale easy, but they do it. They deal with the grief and the responsibility of ruling Far Far Away, even though neither of them want to do so – together, they come quickly to an understanding of what a greater responsibility looks and feels like. Annnnnnd then of course they have children, which is a whole other realm of responsibility. Perhaps the most telling test of their love is the last we know of to date – the dangers of taking love for granted, of a middle-aged longing for the wild, independent days of one’s youth. Shrek, feeling almost that the love he’s found and their life together has ‘broken’ him of his ogre instincts, makes a Faustian bargain with Rumplestiltskin to have a single day of that ogre youth back – in terms the audience understands, he bargains for the ogre equivalent of a wild night out, no questions asked – and Fiona, while saving the world, and without focusing too hard on the idea of what Shrek has tried to do and why he’s done it, falls in love with him all over again. It’s perhaps a convenient and twee observation, but the female half of their equation shows more sense, all the way through their relationship, in this final instance reminding Shrek of everything he has, everything he’s gained through the love he’s shared with Fiona, and how the changes that her love have made in him have made him better, freer, both twice the ogre, and twice the man he was in his wild, scared, everybody-keep-out days. 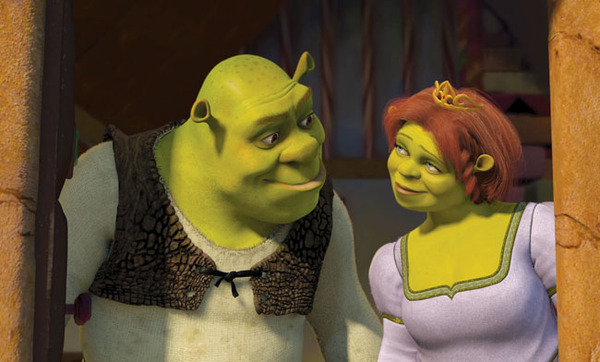 Shrek and Fiona are not at any point a fairy tale couple – but what they are is admirable in our world. Ignoring the judgment of the world that treats them as beastly, ignoring the scorn of the cool kids like Charming who claim they have no ‘right’ to their happiness simply because they’re ogres. They have their own internalised issues, and they work them out, individually and together, but what is rarely ever in doubt (to anyone but Shrek) is that both of them are better for the love, the acceptance they share – earwax candles and fart-jacuzzis and all. They are the stuff of memes on the freedom of old age, the freedom to act ‘disgracefully’ - but they live their lives that way from a young age, facing everything their world can throw at them, embracing the truth of both their nature and their love, and using both those things to carve out their life on their terms, here, now, and together.